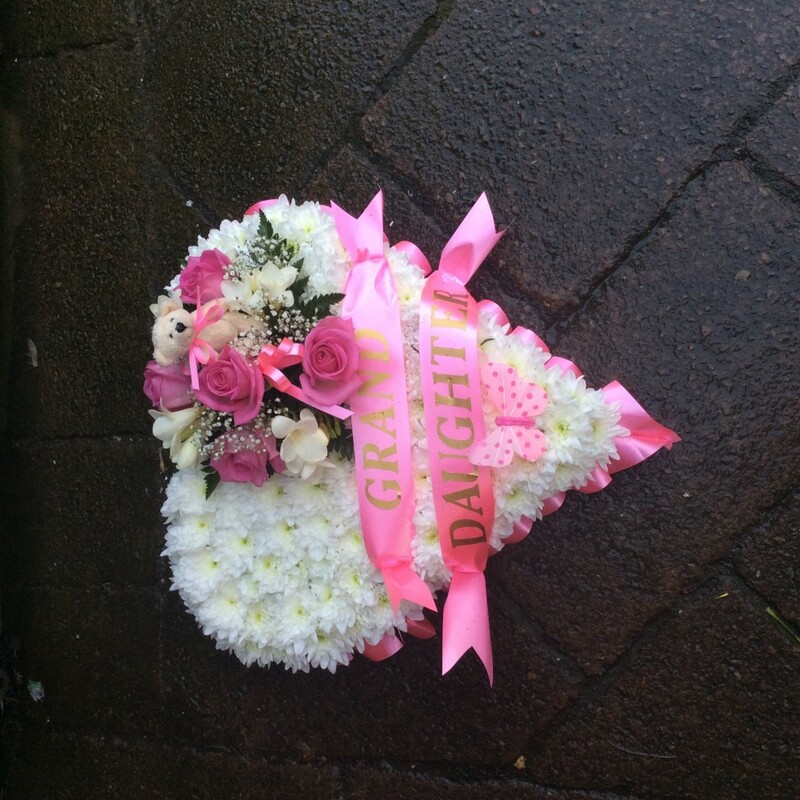 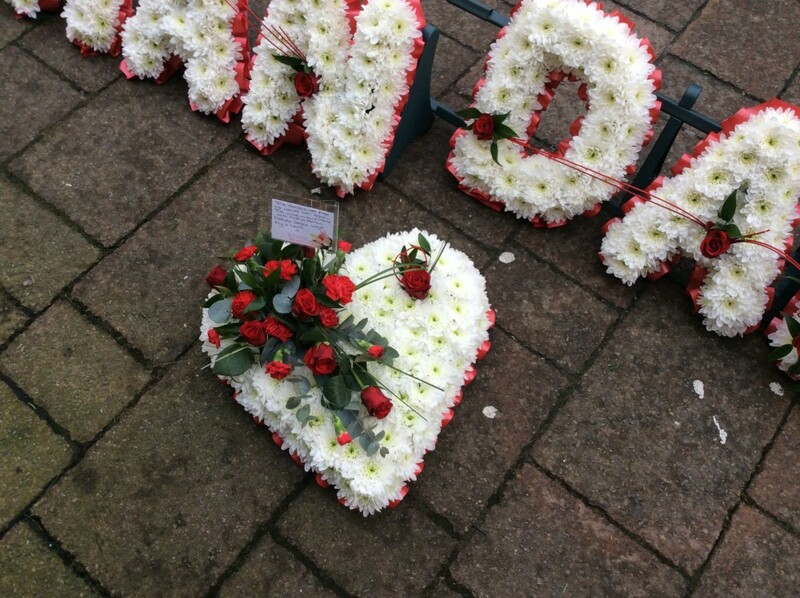 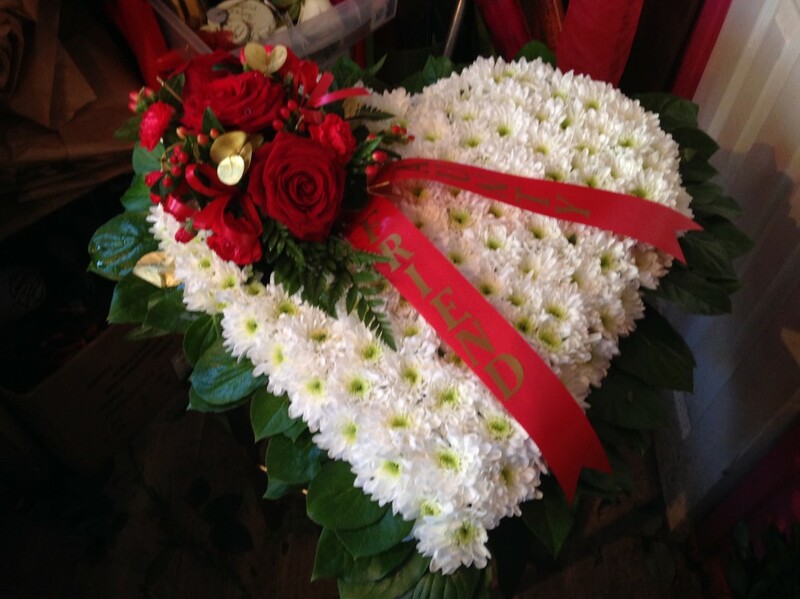 A popular traditional choice to mark the passing of a loved one. 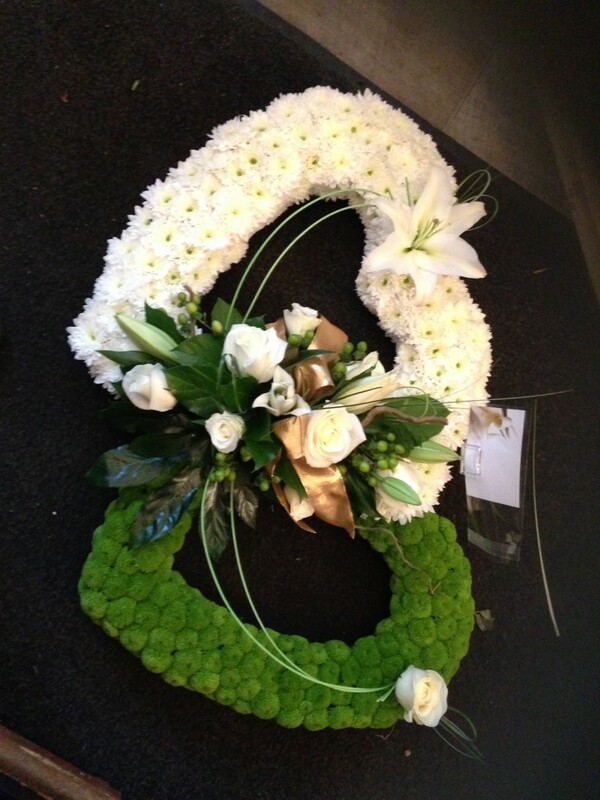 Available in massed white and mixed flowers. 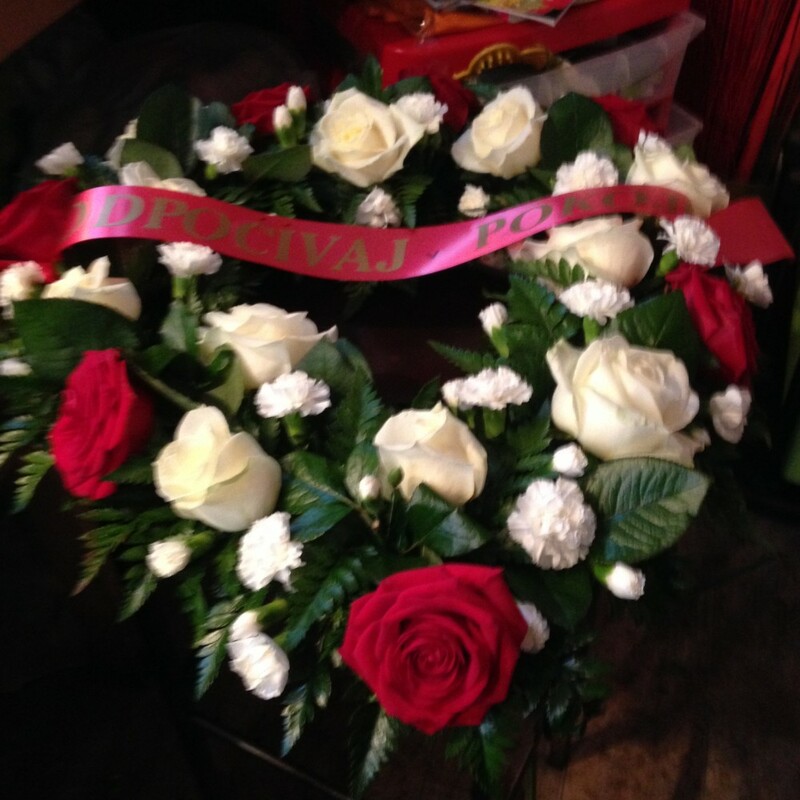 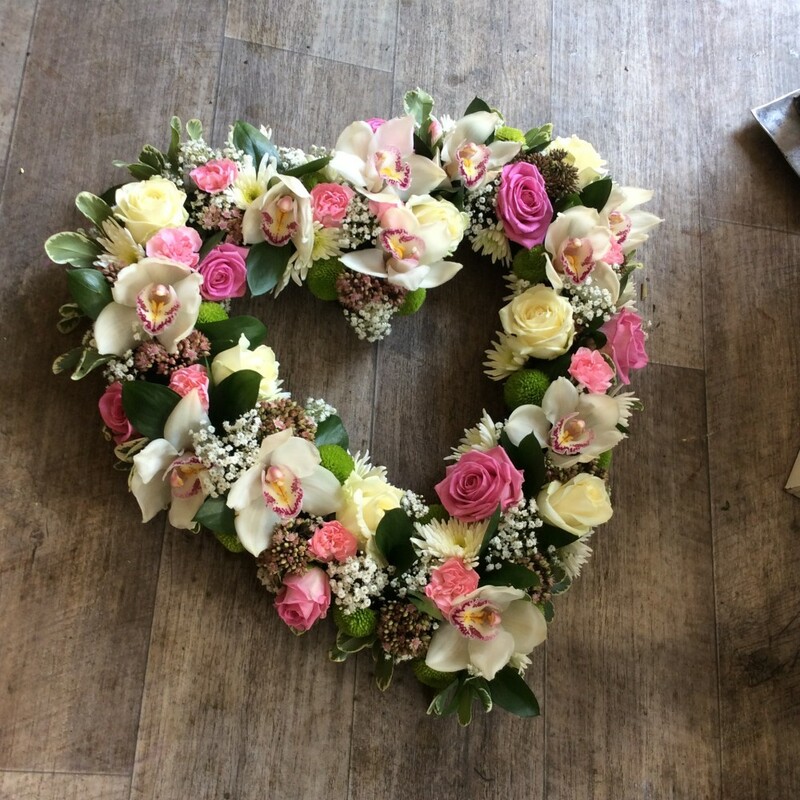 A standard size heart is 12" and starts from £45 The next size up id 14" costing £55 and 16" is £75 Please be aware we need 48 hours notice when ordering funeral hearts.